Writer and photographer. Born in London to Nigerian and Ghanaian parents, raised in Massachussetts, Taiye Selasie now lives in Rome, Italy. 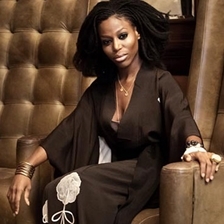 Her debut novel, Ghana must go, was published to international acclaim in over sixteen countries and was selected as one of the ten best books of 2013 by the Wall Street Journal and the Economist. In 2013 she was name one of Granta's Best of Young British novelists. She is currently working on her second novel.